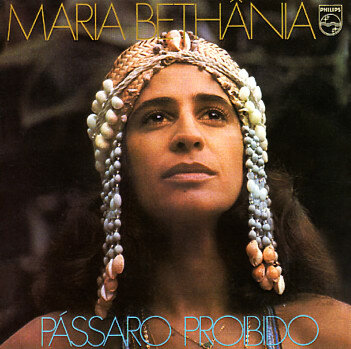 An amazing 70s album from the legendary Maria Bethania – one of those records that's without precedent, and which comes together in an array of styles that's simply breathtaking! The sound here is a bit more focused and mature than some of Maria's earlier records, but the overall work is no less imaginative – and there's still an amazing criss-crossing of modes going on here – rootsy moments, smoother ones, and a blend of the simple and the complex strung together in ways that never fail to surprise us. Arrangements are by Perinho Albuquerque, who co-produced the record with Caetano Veloso – and Veloso and Gilberto Gil also helped out a bit on vocals and guitar. Titles include "Pecado", "As Ayabas", "Festa", "Amor, Amor", "Mae Maria", and "Passaro Proibido", a beautiful duet with Caetano! © 1996-2019, Dusty Groove, Inc.